Jon Proctor, Solomon Hsiang, and coauthors published a study in Nature estimating the effect of solar radiation management (SRM) on global agricultural production. The paper exploits the historical eruption of massive volcanoes that inject sulfate aerosols into the stratosphere to understand the effect of changing light conditions on crop yields. The paper finds that benefits from cooling, the intended effect of SRM, are fully offset by harm to yields via shading. Read the study ungated here. A resource page for the article is here. Visualization of the stratospheric sulfate aerosols injected into the atmosphere after the eruption of Mt Pinatubo. Each frame is a month. Visualization by Jon Proctor & Solomon Hsiang. 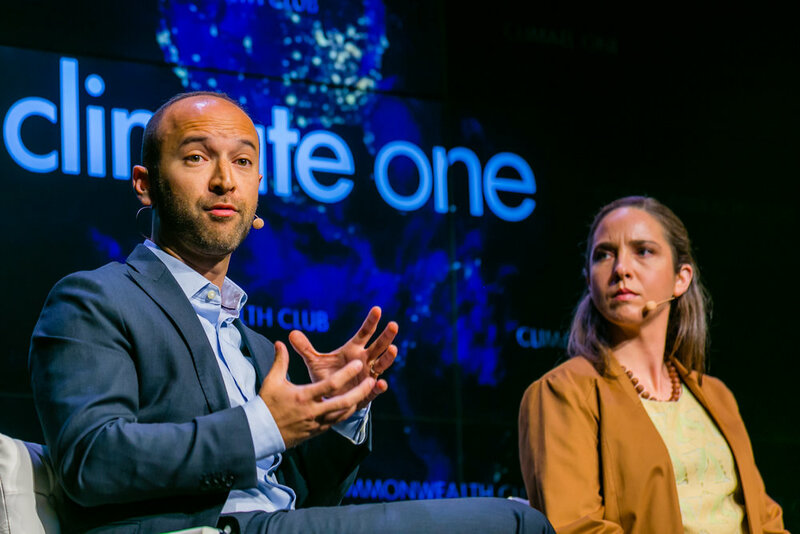 Felipe González, Patrick Baylis, Solomon Hsiang and colleagues published an article in Nature Climate Change demonstrating that higher temperatures increase suicide rates across the entire United States and Mexico. We held the first Lab mini-conference, where everyone presented their work in progress. A whole day of global policy research organized by Peiley and Andy! Despite our best efforts to keep him here, we said farewell and good luck to Terin Mayer as he sets off to do his PhD at the Humphrey School of Public Affairs at University of Minnesota! We celebrated our fourth year of research and office basketball with some Chinese food! 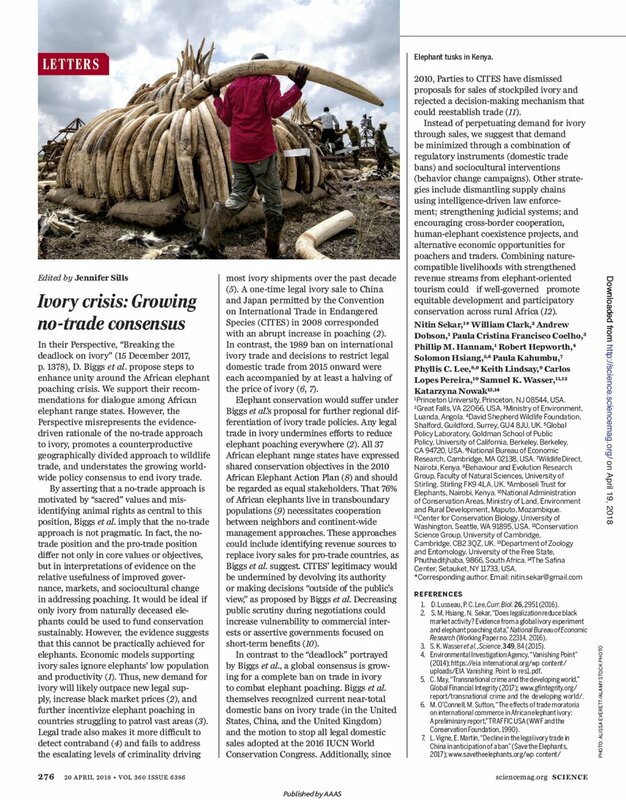 Alongside a large interdisciplinary team, Sol coauthored a letter today in Science today explaining that recommendations to limit trade in legal ivory are based on evidence-based research. This was a response to an earlier article by Biggs et al. arguing that recommendations to limit trade were based on arbitrary values. We also point out that transparency in international negotiations are an important element of the process, in contrast to the recommendation by Biggs et al. to speed up international decision-making by negotiating international trade in ivory behind closed doors. Read research by the lab on the global black market for ivory and international trade policy experiments here. Your Editorial on sampling bias in studies linking climate change with civil unrest (Nature 554, 275–276; 2018) is based on an analysis that in our view provides no evidence for biased results (C. Adams et al. 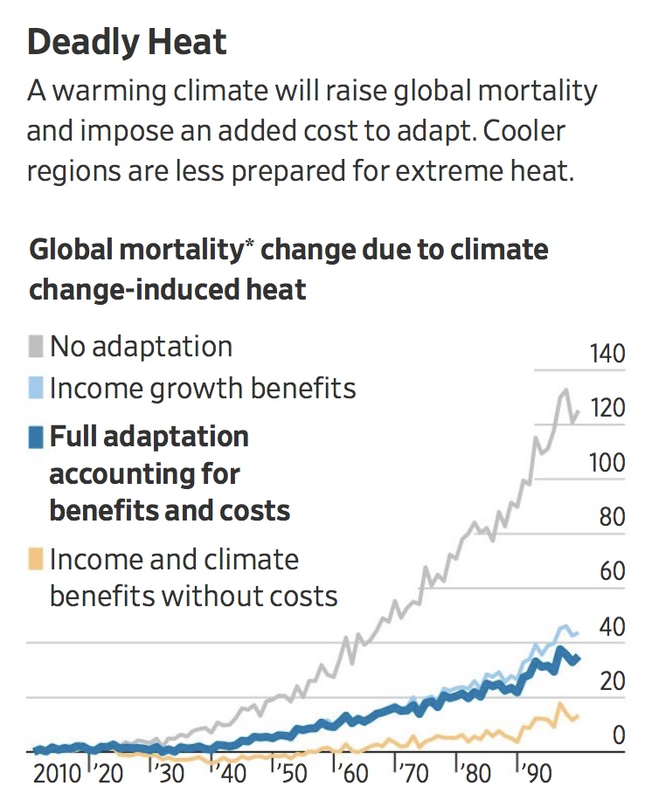 Nature Clim. Change 8, 200–203; 2018). We disagree with your contention that it is “undesirable” to study risk factors for populations with a high likelihood of conflict on the grounds that it could “stigmatize” these regions as politically unstable. The same logic would argue against studying risk factors for people who have a high chance of developing cancer for fear of stigmatizing patients. In our view, such recommendations could create bias in the literature by inhibiting research. You can read the original un-cut text here, or download a pdf here.